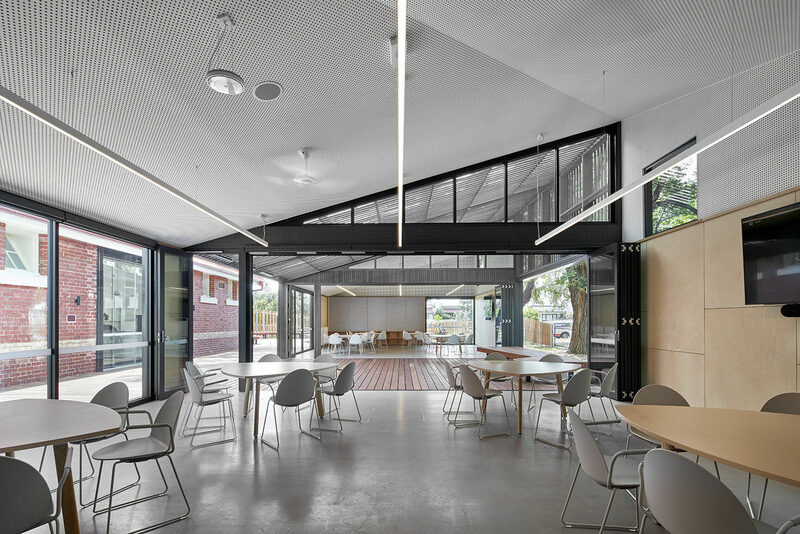 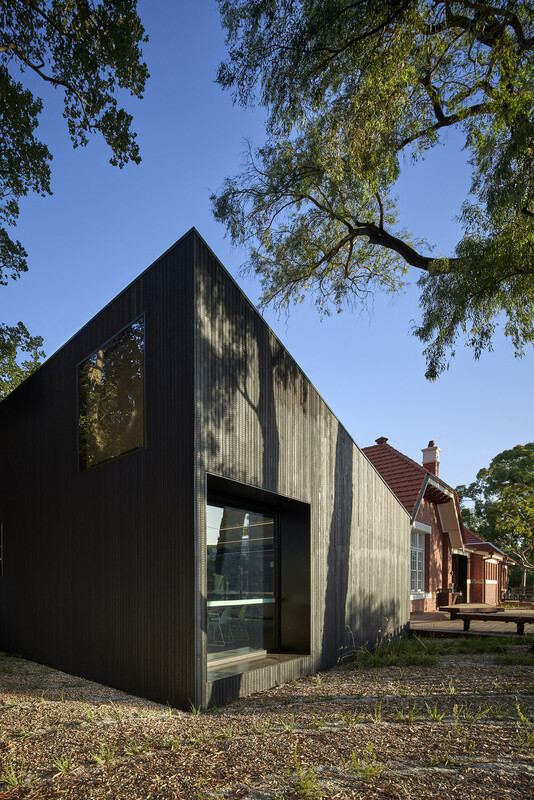 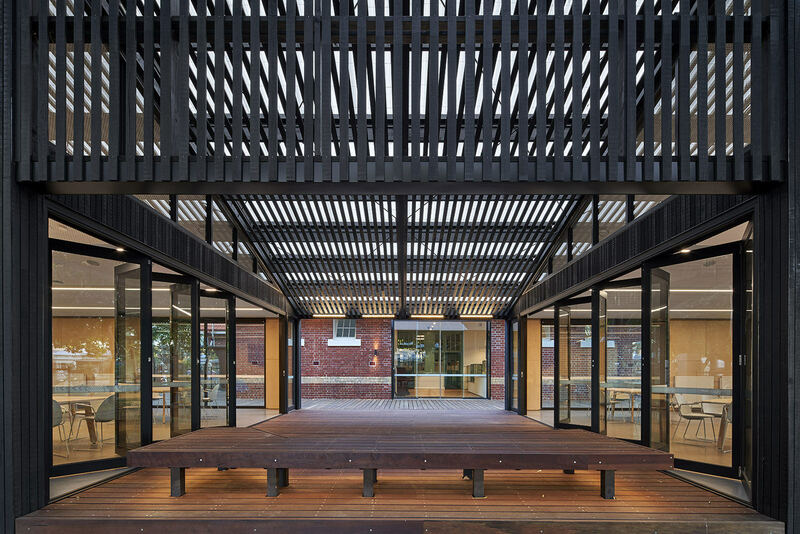 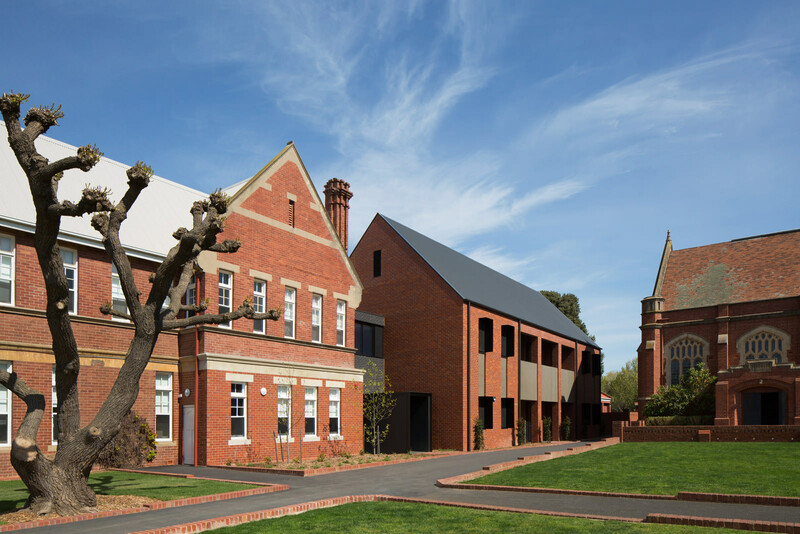 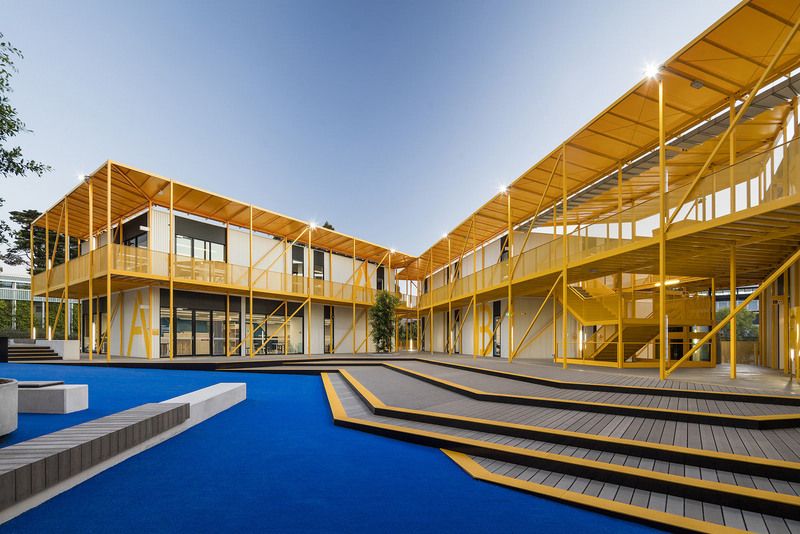 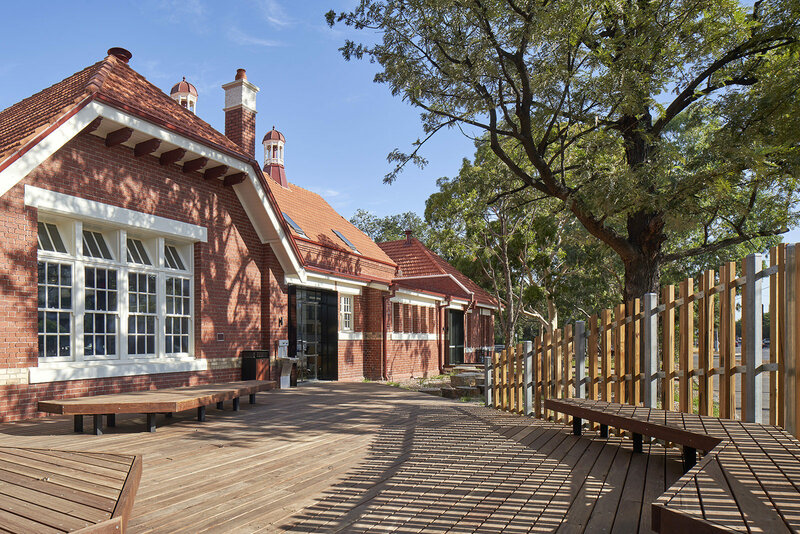 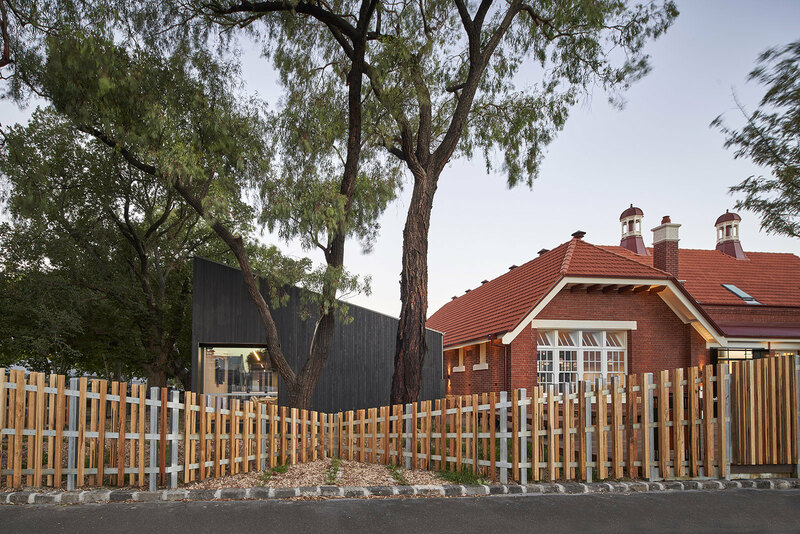 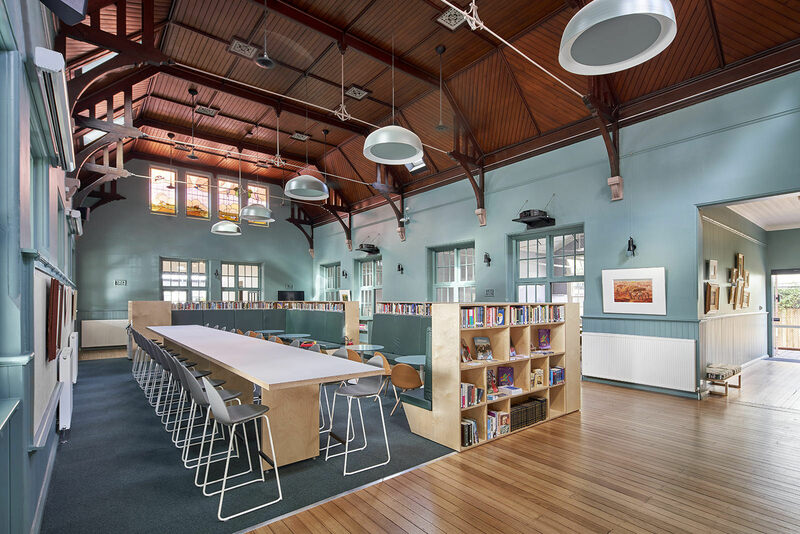 The Liberal Arts Centre at Pickles Street, South Melbourne delivers a new satellite campus for Albert Park College, providing calm and reflective learning spaces in a refurbished heritage school building complemented by three new timber pavilions in a considered native landscape setting. 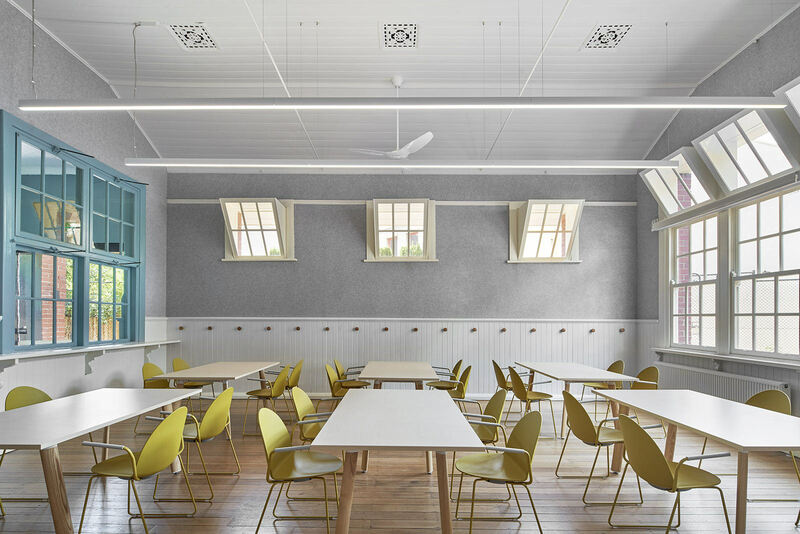 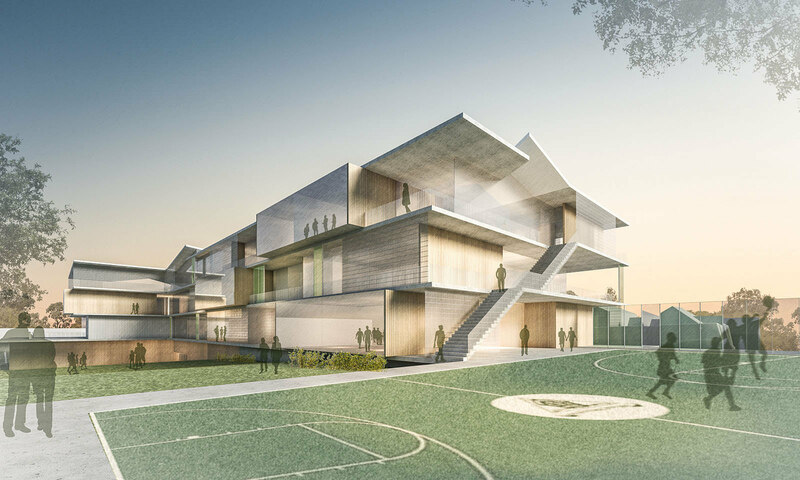 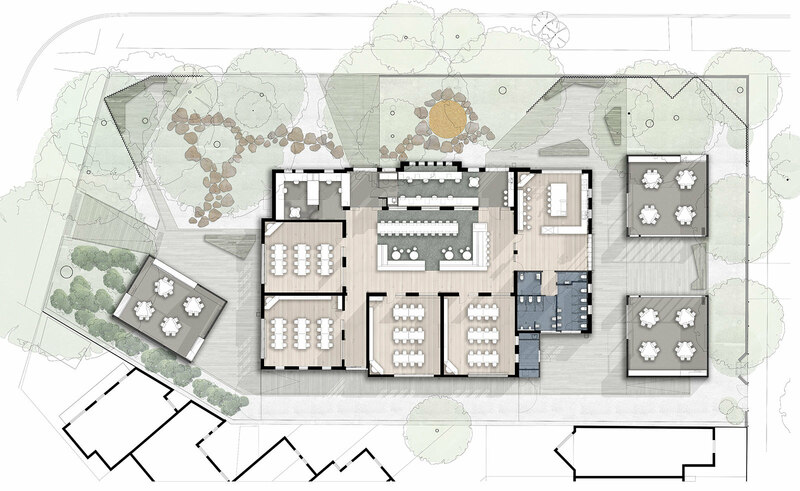 The new Liberal Arts Centre sensitively respects the significant heritage and existing landscape qualities of the site whilst providing a variety of flexible and adaptable learning environments suitable for today’s pedagogy. 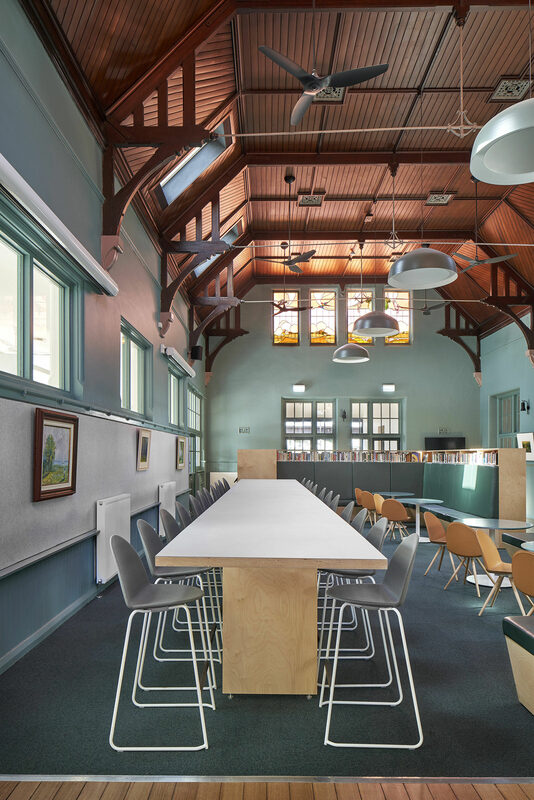 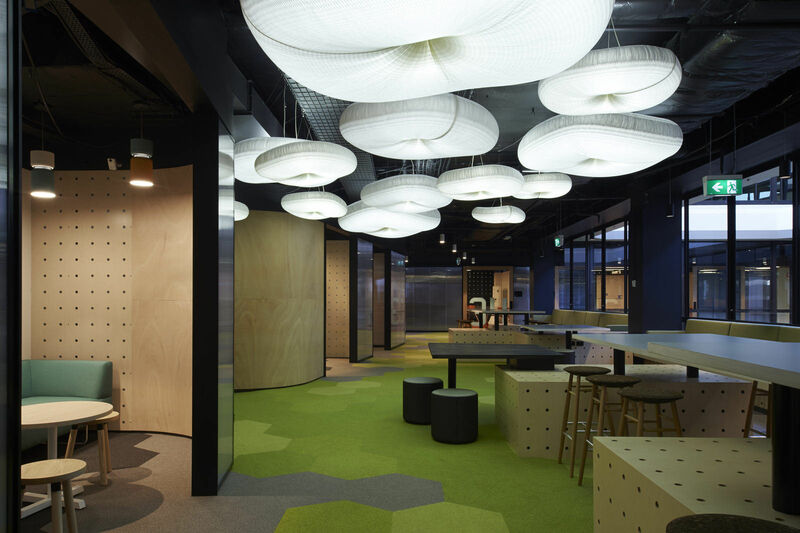 The existing building was repaired and restored with its internal volume and quality of light celebrated and internal spaces repurposed and reimagined. 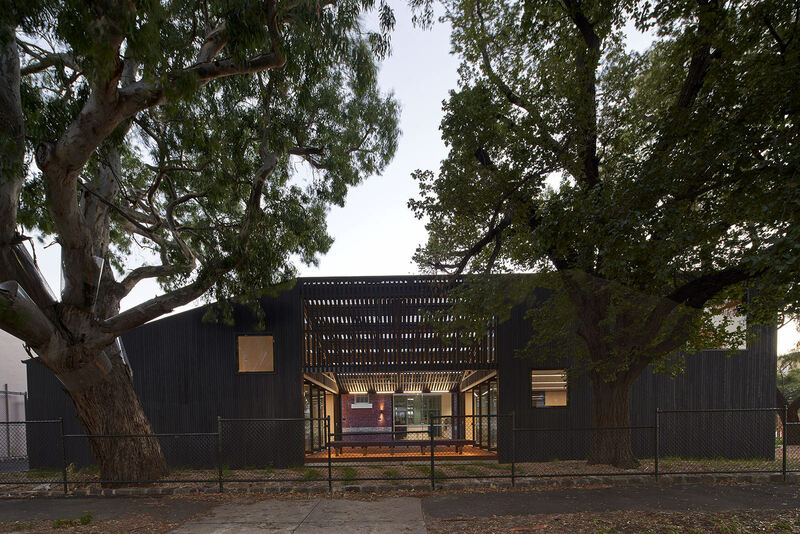 The new timber pavilion additions are sited in response to existing site constraints, taking opportunities to frame views into and connect with the newly planted landscape, nestling under the canopies of the existing mature trees on site.